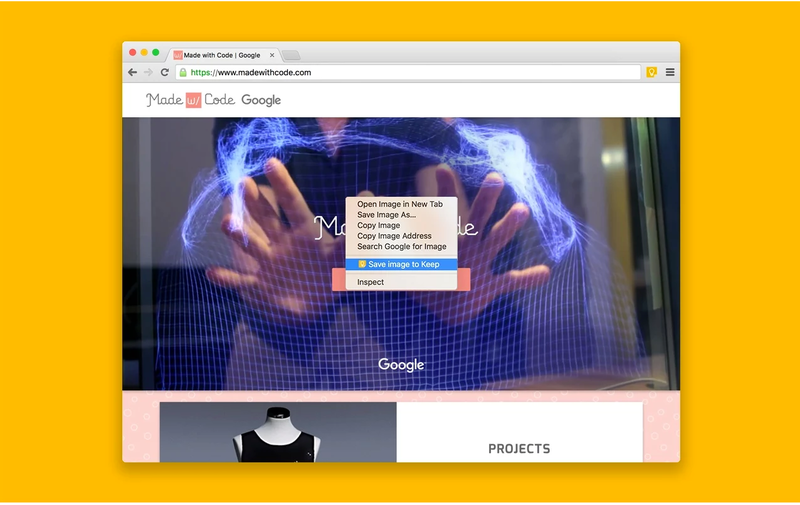 Google announced today some major updates to its note taking app Google Keep. Important among them is the release of a new Keep Chrome extension. This new add-on allows you to easily save any web page (URL) or a portion of it such as a passage, an image or quote directly to Keep. Once saved, you can then add your own notes to it and sync it across all your platforms so you can access it whererver you are (e.g on Android, iOS, and Web). When you install the new Keep extension, Keep’s yellow badge will appear on your Chrome tool bar. Whenever you are on a webpage you want to save, you simply click on it and you will be able to add the site’s link to your note. Alternatively, you can select part of the web page or pick an image then right-click on the menu to create a new note. Android users can use this functionality to save web links to Keep without having to switch apps. Another interesting new feature added today is the ability to organize your notes with hashtags. You can group multiple notes under the same hashtag (e.g #edtech tools) so you can access and browse them easily.